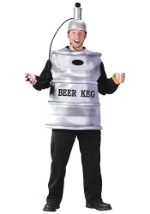 Keg stands will be much easier in this jumbo beer keg costume! 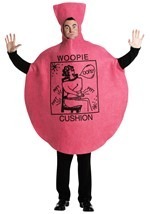 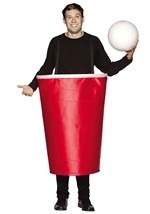 The plus size costume consists of a grey, poly foam body keg that is lined with wire to maintain its shape. "BEER KEG" is written across the front with a screen-printed handle on the top. 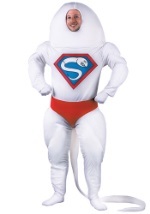 It has holes for the head and arms and is open on the bottom for the legs. 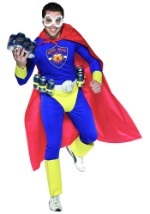 A matching helmet buckles into place and has an attached pump. 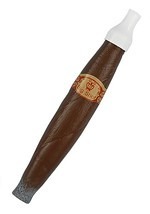 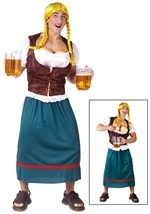 The pump can be filled with your favorite beverage which than can be dispensed with the included nozzle. 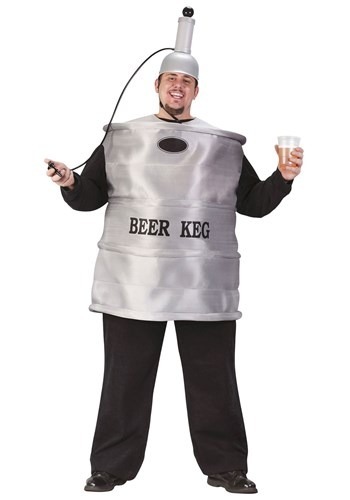 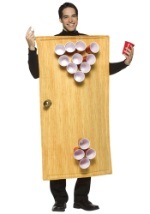 This beer keg costume is one look everyone will love this Halloween season!